Long Island Pulse: Take me back to the formation of The Darkness. How did you guys really find your sound? 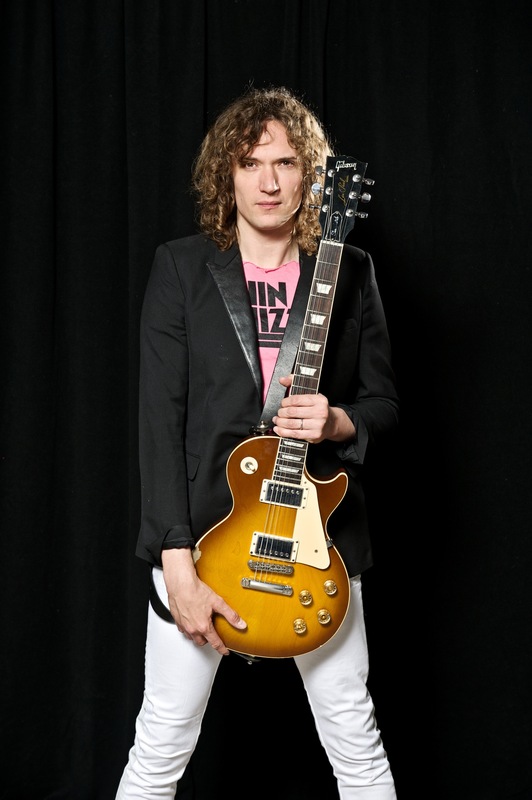 Dan Hawkins: I decided to play modal and electrical and Justin decided he would be the singer. He developed the sound of his screeching voice while trying to compensate for the volume of the guitar, so really, the early sound was formed by him trying to scream to get heard. Pulse: Do you feel like you’ve been heard over the years through your music? DH: Yes, we’ve definitely been heard and definitely been seen, even when we were playing in pubs in the early days doing ridiculous stuff just to be noticed. 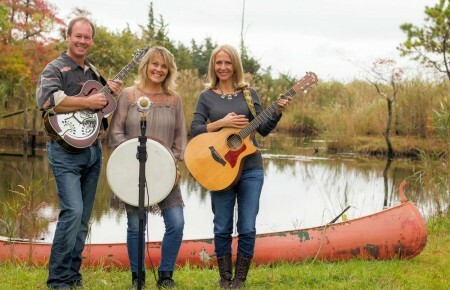 Pulse: Who are some of your musical influences? DH: ACDC, Abba, Queen. Generally, they’re doing their own thing and they sound like themselves and no one else really and they’re making the most of the things that they’ve got. I think we’re one of those bands, really. Pulse: You’re the sole producer on Last of Our Kind, a first for your career. What was that experience like for you? DH: It was good, actually. It was intense. The main thing was this time I mixed the album. In the past, I produced it and handed it to someone else who I thought knew what they were doing to make it sound good, whereas this time I kind of did it all. It was a real journey and I learned a lot from it. It’s nice to know I can do it all. Pulse: What did you learn from it? DH: That you can’t get away with anything. Right from the very beginning, everything has to be there for a reason and very simple, it has to be recorded very well. You can’t take any shortcuts. Also, I’ve just done away from things like click tracks, it’s better to hear a band making mistakes and speeding up and slowing down and being natural rather than everything just being computerized and stuff, which happens a lot these days. Pulse: Tell me about Last of Our Kind. How is it different than your previous albums? DH: It’s more riff-based. We know how to write a song so that wasn’t necessarily the objective on this record it was more about the root of every song should have a great riff and then you build it up from there. Before, we’ve written songs entirely on acoustic guitar. Pulse: Speaking of previous work, “I Believe in a Thing Called Love,” is a classic and still gets radio airplay. What’s it like when you play it live and see the crowd’s reaction? DH: It’s awesome to see the crowd. It wasn’t my favorite song when we first started out. The rest of our set was more hard rock and that was kind of the poppiest thing we had, so I didn’t like it (laughs), but over the years I’ve grown to love it. Pulse: Rolling Stone has written that your sound is “perfectly suited for the biggest stages in the world.” Why is that? DH: Maybe because all the bands that we’re influenced by are stadium bands. I’d love us to be that one day. Whether that happens or not, who knows, but we’re always striving for it, and that’s something that we like. Pulse: What’s your favorite song to play live? DH: At the moment, it’s a song called “Mudslide,” from the new album which I really like. It’s got a great riff and it’s really simple. I like stuff that’s really repetitive and simple. Pulse: You’re a producer in a band known for giving great live performances. Where do you feel most at home, on stage or in the studio? DH: A bit of both, really. They’re two different things. I love getting together with the guys and writing. It’s exciting when you’re putting an album or song together in the studio, it’s a bit like painting a picture. When we’re on tour, that’s when the fun really starts. 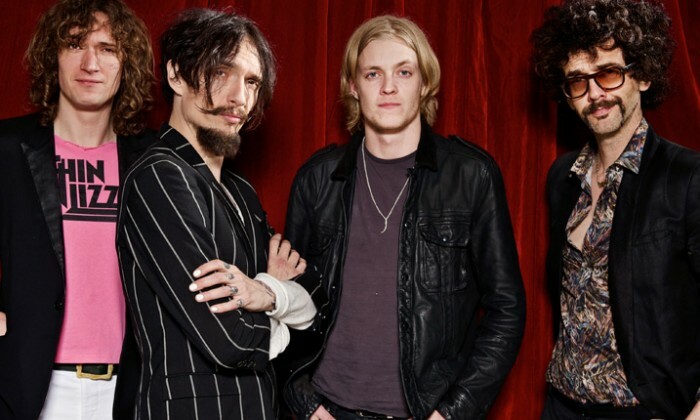 Pulse: Rufus Taylor joined the band this year as your drummer, replacing Emily Davies. What has he brought to the table? DH: He’s been awesome. He’s a lot younger than us, he plays really hard and parties really hard as well. He’s just brought a lot of energy to the group, and I think that’s something we’ve been missing for a while, the excitement of a drummer just playing like there’s no tomorrow. It’s really exciting. People say that when they come see us, they can’t take their eyes off him. He’s just got that thing. I like when bands have drummers who are noteworthy. 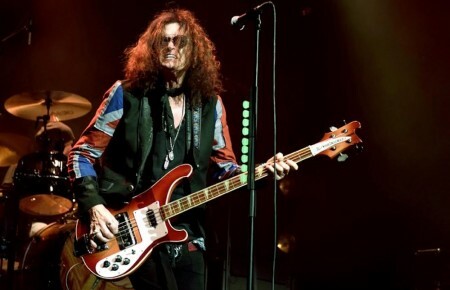 Pulse: Long Island will get to see him and The Darkness Saturday, Oct. 31 at the Paramount. What’s special about a New York crowd? DH: New York crowds are tastemakers. London crowds can be really stuffy, over-thinking things. New York’s a bit like that because obviously it’s a very cool crowd. You guys get a lot of really cool stuff, but you still manage to enjoy it and have a party. Pulse: With the show being on Halloween, do you have any costume plans? DH: I didn’t even realize that. I guess it’s not too late to get some outfits made. Pulse: Absolutely not. What’s your favorite Halloween costume? DH: I’ve always been keen of the eaten-by-a-shark outfit. I’ve worked that a few times. It’s a shark and your head is inside a shark’s mouth.